What is Intellectual Capital Management (IC) ? Intellectual Capital (IC) is all the knowledge both tacit and explicit in a company or organisation which can be used to create value. Intellectual Capital Management (ICM) is the management of this IC for value. The Asia Pacific IC Centre (APICC) is an organization designed to assist Hong Kong companies come to grips with the modern knowledge rich economy and assist them extract maximum benefit from participating in it. IC or Intellectual Capital is a main driver of value creation in the modern economy: IC is the sum of all the knowledge and experience, some of it not explicitly shown or recorded, in a company or organization which can be used to create, extract and release value. How we use our IC often determines how successful we are. APICC is, at one and the same time, an IC Centre for Hong Kong SAR and a link with the growing number of such IC Centres in Mainland China and around the world. The purpose of each IC Centre is to raise awareness in local businesses of the need in the knowledge based economy to identify key owned or accessible IC and to manage this for value, and to provide information and coaching. First Steps:There were many attempts in Hong Kong and around the world to define “Creative Cities”, “Creative Industries”, “Creative Assets” and “Creative Economy”. Comprehensive definitions and useful analyses from a global perspective can be found in the “Creative Economy Report 2008”, prepared by the United Nations Conference on Trade and Development (UNCTAD). This is just a beginning, and more work needs to be done. However, the real value is to be found in creativity in all industries and organizations since this is what catalyses breakthrough innovation. APICC was created to address a need which we identified in Hong Kong SAR. Larger companies have shown since 1995 that there are great benefits to be obtained in managing the knowledge base of companies as part of the business plan. Since 2000 several countries, notably Scotland, Singapore and Syria, have put IC Centres in place to help local companies understand the issues, raise their awareness, diagnose their position and take steps to leverage this knowledge base in order to create value. As one example, the step of transforming key tacit knowledge into explicit recorded knowledge is vital in risk reduction in that it creates a recorded and systematised approach that is not dependent on one key individual but part of the company structural capital. APICC has been created to assist Hong Kong SAR companies in this regard, to allow Hong Kong SAR to begin to catch up with the world leaders in the Knowledge Economy and to link Hong Kong into the ambitious Mainland China IC Centres Project. The role of APICC is to raise awareness and provide support to companies, academia, government and all organizations in Hong Kong SAR as they seek to participate in and take maximum benefit from the knowledge economy, and to network them into the expertise currently being generated in the IC Centres around the world and in Mainland China. Intellectual Capital Management (ICM) as a “Knowledge Economy” initiative is perhaps the best way to extract the maximum value from on-going government initiatives and Hong Kong’s strong legal infrastructure. Hong Kong has invested heavily in universities and the Hong Kong Science and Technology Park (HKSTP) and other HKSAR Government sponsored research centres. We have also been talking about “creative industries”, “creative cities” and developing a knowledge-based economy; but we are probably weak in our ability to explain to the business community how that can be achieved. The APICC business idea is to provide the ability to enterprises to effectively compete in the knowledge based economy through better understanding and leveraging their knowledge assets. APICC is unique in that it provides the required knowledge and management tools. APICC is a two way knowledge sharing and implementation project between the Scottish IA Centre (SIAC) and Hong Kong. SIAC is the first organization of its type to be set up using government funding to support SME companies get the best out of participating in the knowledge based economy through realizing the potential locked within their intellectual assets. A Memorandum of Understanding (MOU) has been signed between the Scottish Intellectual Asset Centre and APICC in Hong Kong. The MOU enables APICC to make use of the hands on management tools, knowledge and experience of SIAC built up over almost 10 years of experience on all not-for-profit initiatives in Hong Kong and mainland China. Alan Lung, Director & General Manager, is an experienced manager with proven skills in pioneering and delivering business services to enterprises across Asia. He was born and raised in Hong Kong and has a degree in Economics from Wilfrid Laurier University, Ontario, Canada. 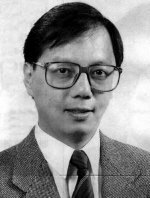 He started his working career with McCann-Erickson, an international advertising agency in 1977 and had a distinguished career in advertising, public relations and marketing, spanning across Hong Kong, Taiwan and Singapore. In 1985, Alan started the Ogilvy & Mather Direct Office in Singapore after helping to start Ogilvy & Mather Direct in Hong Kong in 1980. 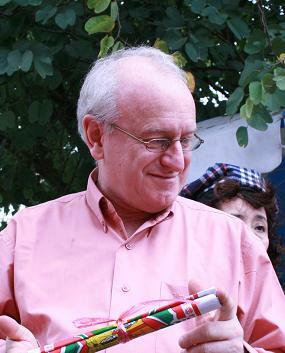 Alan later returned to Hong Kong to work as the marketing director for one of the largest direct marketing companies in Asia. In 1998, Alan brought the practice of Activity Based Costing and Management to Hong Kong and has been working in the process and performance management consultancy field before joining APICC. Alan chairs a well known political and public policy think tank in Hong Kong and is skilled in converting knowledge in public policy, promotion, quantitative management and ICM into practical steps to move forward the “Knowledge Economy”. He has been driving the Intellectual Capital Centres formation movement in Hong Kong, Guangzhou, Hangzhou and Beijing since 2005. Gordon McConnachie is a pioneer in the Intellectual Capital Management (ICM) field and an acknowledged leader in the world’s ICM movement. Trained as a chemical engineer, he spent most of his working career with Dow Chemical in Europe where he built the Intellectual Assets Management System for the global company between 1993 and 1999. He was the Director of ICM Services Europe with PricewaterhouseCoopers, London from 1999 to 2001. He was also the founding chairman of the Scottish Intellectual Assets Centre in 2003 and is still actively involved as a director. Gordon is the coordinator of an international ICM practitioner network and has been working tirelessly in bringing international skills to Hong Kong and mainland China since 2005. Gordon brings to APICC, experience and knowledge previously known to and practiced only by major multinational companies.